Named after Sarah Wells younger sister whose style reflects the practicality needed to raise twins with a fun and fashionable edge for date night, the "Lizzy" is the breast pump bag you have been waiting for. At the MOST competitive price on the market for the style, quality and functionality, this bag will carry everything you need for your breast pumping journey and beyond. 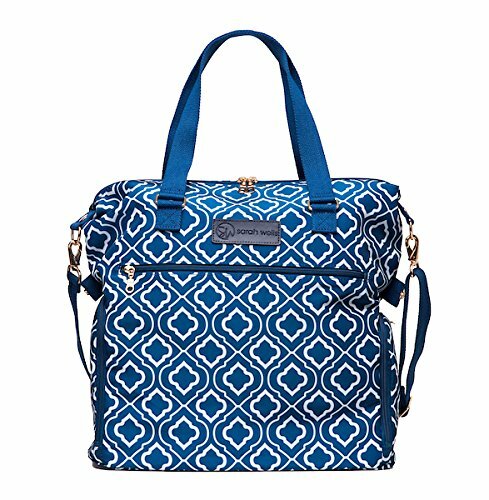 This special print and color combination is the result of Sarah's brainstorming with a group of 100 pumping moms from across the country; we are excited to bring the new bag to you! Purposeful Design for Breast Pumps >> Sarah knows pumping moms need fast, efficient and easy. These bags are not a generic tote bag, but rather, have specialized, innovative compartments to fit most portable pumps on the market!